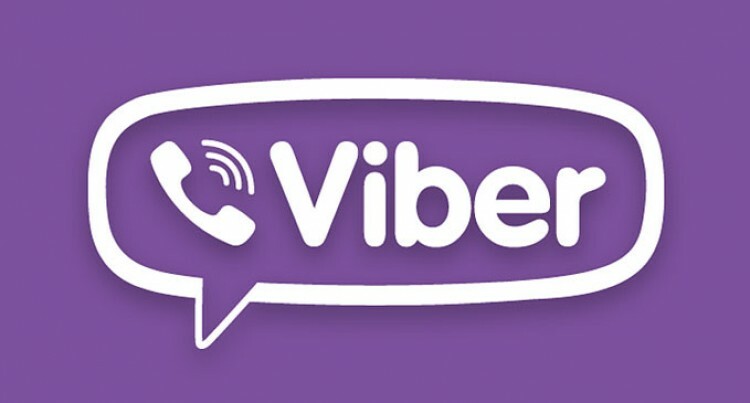 As long as you're connected, you can get unlimited calls and text for free with Viber. So I understand there is a lot of talk around the new VoIP apps and I did an article last week on which VoIP app is the best. Google Hangouts trumped that list However; Viber is truly the upcoming app. The app was set to be a more spontaneous app compared to other VoIP apps like Skype. Viber is available on any Smartphone Android and IOS and it has also introduced a desktop version. Viber only works when you have data! If you have set a data or connected to a Wi-Fi device you’re good to use Viber. It has over 200 million users worldwide in just 5 years of operating. Viber started with voice calls and slowly ventured out into messaging a few months later. Viber was founded by Talmon Marco in the Israeli iPhone app store. It then entered other platforms like Android, Blackberry and Windows. Today Viber is used for many purposes and by a range of people in different fields. Also to note Viber has opened it only Sticker Market and Game App. The chat or message feature is very simple. Once you download Viber it automatically syncs all your contacts to Viber. Therefore, messaging option automatically presents itself on your contact list. Its helps you save money – thumbs up! But you can also use the messaging feature from the chat room. Once there you’re good for chatting with your friends. Also another feature on Viber chat that is great is the group chats. In the group chat you can add as many people as you want. Like mentioned last week when it comes to free calls or VoIP it all depends on the internet connection. Viber calls are great but the only downside is the latency. The calls seem to have 30 second latency in delivery. The call feature works very similar to the messaging featuring. Once at the chat room there is a tab that allows you to directly make calls. There is also the feature of an open dial pad which allows you to call out to numbers that are not saved to your device under contact lists. The highlight of chats on Viber is the message popup so if the screen is locked or if you are on another app the message will pop up on your screen. It allows you to reply and continue doing what you were. Here is the exciting bit! So Viber also allows video calling to contacts on your list. The Video calls works through the free call feature. So once you make the call an option for video call will appear. The feature works appropriately with proper data connection and solid network. The video call allows you have face-to-face conversations without having a time restriction. This feature by not be used by a lot of people yet it’s an important feature when you don’t have credit on your phone. Viber Out is placing a normal call to non-Viber users by default. You can start messaging and having voice / video calls with all the contacts. If the majority of your contact list does not have an account with Viber, do not worry. Viber offers a service – Viber Out – that will allow you to call anyone for extremely reasonable rates. You can call landline and mobile phones, even if they are not Viber numbers. Note that the Viber Out feature will only work if you buy the credit via a credit card. Highlighted earlier are the core features of the app. Here are some other features the apps allow you to perform. Photo sharing: You can share images to your friends and receive images however, this uses more data. Voice Message: You can share audio recording and songs through Viber yet there is a restriction on the size of the file. Video Sharing: So this component is lacking compared to other VoIP apps like Whatsapp, Line, and Skype. Video sharing on video has a restriction and it doesn’t allow you send large files. Stickers: A trademark for Viber! Viber offers a wide range of stickers that can be used while chatting. As mentioned before Viber has a sticker market so these apps can be downloaded from there. When you install the app it comes with some stickers but you are free to install more as long as you have space on the device. Also another highlight of the stickers is that every season or a holiday Viber will give you the option to install themed stickers. Location: So on the up side if you are lost and don’t know how to get around then just send a message to your friend and include location. The GPS will automatically send your location to your friend. The location is a small arrow button above the sent button. Language: If you don’t speak the universal language that isn’t a probably when using Viber. Viber language can be installed and used in different languages. Chat Background: Again another trade mark to Viber the backgrounds. You can change backgrounds of different conversations once on Viber. The App is available both on IOS and Android. The App Store for IOS and the Google Play Store has a search bar. Once on search bar type in Viber and then select the install button. When the app is installed on your phone a notification will appear. When on Viber you will be ask to registered mobile number and country code. When you have completed it a short code will be sent to you via text. If this short code is taking time to come, then there is this option to receive an automated call back from the service provider. Enter the code into the access code field and register your mobile number. After that the app will automatically sync your contacts and you’re ready to use Viber.